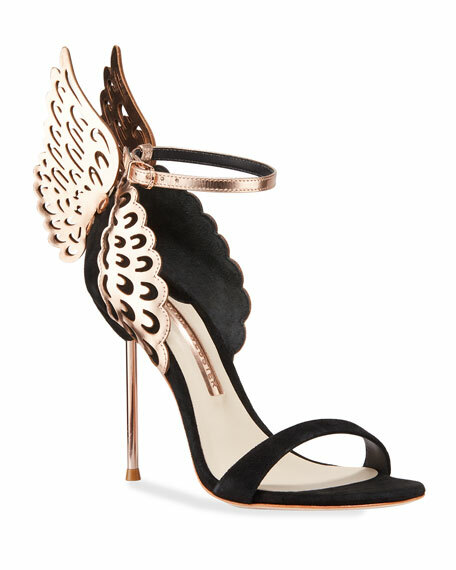 Sophia Webster suede d'Orsay sandal. 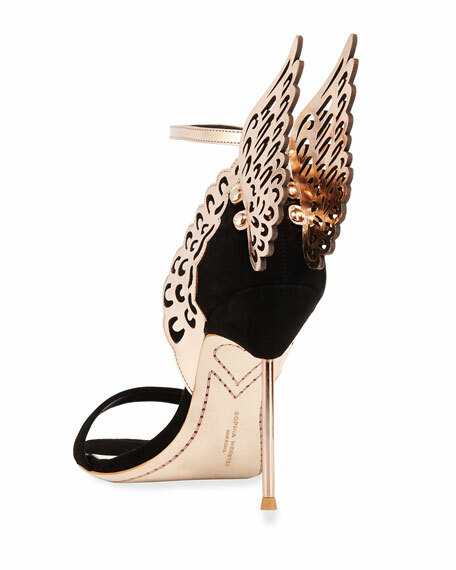 Metallic 3D angel wings extend from heel counter. Tapered strap bands open toe. "Evangeline" is made in Brazil. Fendi sandals in stitched mesh and FF-print neoprene. 4.1" striped block heel. Squared-off open toe. Thin logo strap at vamp. Fendi sandals in stitched mesh and FF-print neoprene. 4.1" striped block heel. Squared-off open toe. Thin logo strap at vamp. Logo grip strap at ankle. Cushioned slingback strap. Padded footbed. Leather outsole. "Freedom" is made in Italy. Jimmy Choo suede sandal. 3.3" covered heel. Open toe. Crisscross vamp. Adjustable ankle strap. Leather lining and sole. "Emily" is made in Italy. Sizing note: Jimmy Choo runs small. We suggest that you order a half size larger than you typically wear. Sesto Meucci leather sandal with woven elastic strap. 1.3" demi wedge heel. Strap bands open toe. Side zip eases dress. 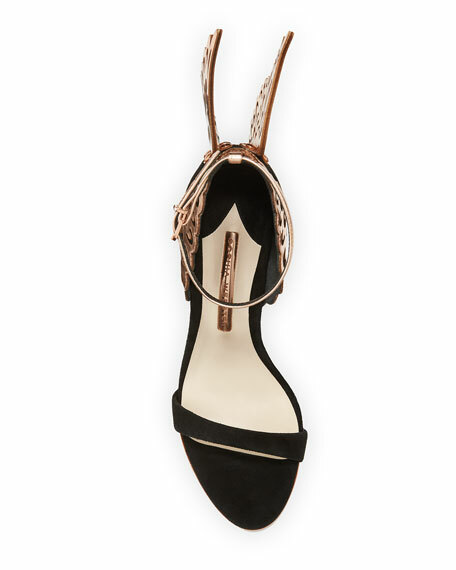 Sesto Meucci leather sandal with woven elastic strap. 1.3" demi wedge heel. Strap bands open toe. Side zip eases dress. Padded footbed. Rubber outsole. Made in Italy. Sesto Meucci slide sandal in laser-cut napa leather. 1.3" cork heel with metallic midsole. Open toe. Single-band floral vamp. Padded footbed. Rubber outsole. Made in Italy.